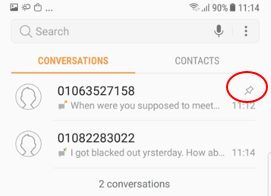 Please check firstly that you set Pin to top option on messages app. on top side in messages app. 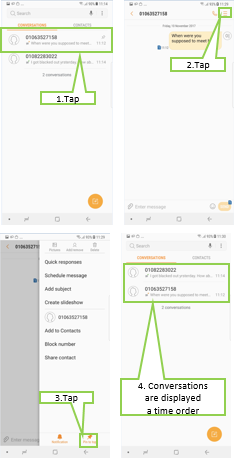 Thus latest messages that was not set as Pin to top are put in next order of Pin to top conversations. To deactivate Pin to top option, We may need to go to Messages and open the pinned message > More > Tap on the Pin icon to be greyed.